After huge popularity of my chat with Cex.io CIO i`ve decided to add new section to blog – No Bias Interviews. My interviews will always hit questions that others are scared to ask, and that is what make them special. Here is time for new one, full of uncomfortable questions – just how you guys like it the most! Litecoin is the second most recognized currency and shares most USD and FIAT exchanges with Bitcoin. 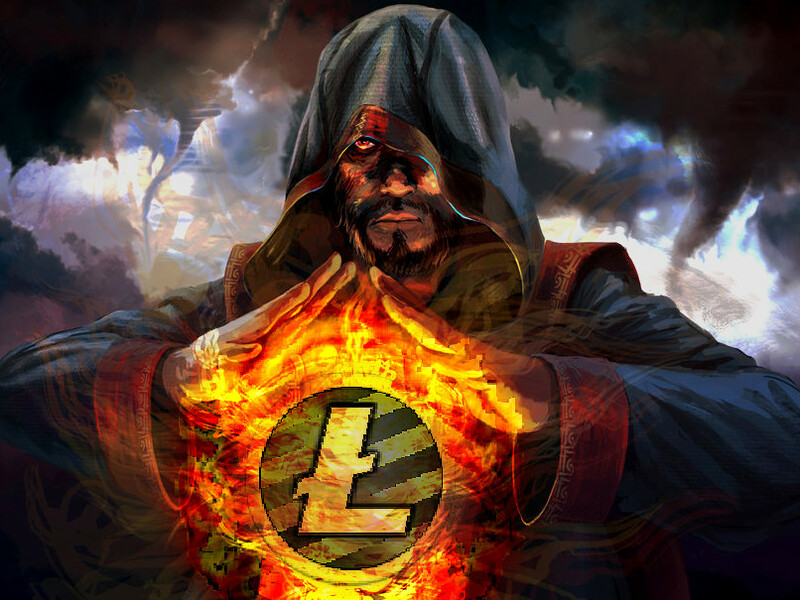 Today im sharing with you exclusive interview with TheMage aka Andrew Vegetabile – the ambassador of Litecoin Association. Hear about the famous dumping of 300k LTC lately, Litecoin Association future plans, fighting on forums between communities and more! Please introduce yourself and describe how you got started in Litecoin. I was first introduced into Litecoin just as most other people were last year. I heard about this magical internet money called Bitcoin. There was a bunch of news reports about it, and time after time I kept on hearing about some amazing (or not so amazing) information. To be perfectly honest, the news seems to latch on to negative reports, so that is what was displayed mostly. However, being an engineer along with an optimist, I decided to do some research into it. It’s really funny, I spent about 3-4 weeks of solid research reading as much material I could on the technological, sociological, and economical impacts on this technology. Once I was ready to take the plunge into it, I deiced to try my hand at mining. I heard about these pools for people who have low hash power can get some BTC out of them. So I did what everyone else did, signed up for a pool, figured out my software mining configurations, and threw 300KH at it. Went to bed and eagerly woke up the next morning….I can’t honestly remember if I made 1 satoshi from that haha. So needless to say my first mining experience was not that great. So I continued on, read some more and realized that the BTC network needed some more expensive hardware. I was disappointed, but not down and out. I searched around and found this other thing called Litecoin. I registered at their forums (Litecointalk) and started to lurk for a while, eventually posting. After some test runs I decided that Litecoin can be mined with consumer hardware (graphics cards), so I bought some mining equipment and went to town. Nearly all of my posts in the beginning were in the technical support section. I really enjoyed helping others and made a few tips along the way! How does the Litecoin Association define its role in supporting the growth and awareness of Litecoin? The LA (Litecoin Association) is a nonprofit organization whose purpose is to help facilitate the education of Litecoin and crypto currencies in general. The LA also protects the public resources of Litecoin such as Litecointalk.org, the Litecoin wiki, and the up and coming Litecoin.com. In addition, the LA has sponsored charitable events (Go Vap Orphanage and the Eden project) and we are currently undergoing a marketing campaign. As with almost all things the LA gets involved with, nearly everything is a grass roots effort of working with the community to ensure they are empowered to help Litecoin grow as both a technology and as a digital currency. The marketing campaign is a collection of many items to include an official Litecoin video, the up and coming Litecoin.com website, merchant flyers, and we even decided to rebrand our logo. These are certainly exciting times for us! How does the Association support ongoing development of the protocol and what influence, if any, does it have over the direction of development? As mentioned before, the LA is a nonprofit organization, and it is also a completely legal separate entity from the Litecoin developers. We have no direct influence over what the developers decide to do. We do however strongly support their efforts in order to continue with the work they do. Earlier this year, there was a challenge from BTC-China when they implemented Litecoin in their exchange. They would match coin for coin 1,000 LTC to be donated to the developers. I am very proud to be a part of that to help raise the funds the devs need. What have been the most significant factors enabling the success of Litecoin thus far? I can think of a few factors, starting all the way back to when Charlie Lee (AKA Coblee, founder of Litecoin) created it. His idea of having a separate proof of workwas key in order to ensure we would not be fighting the grandfather of crypto currencies for hash power in order to protect our network. In addition, the launch was one of if not the most fair coin launch in history (others may disagree, but I personally feel it was very fair). To make a long story short, the public was given quite a number of weeks of advanced notice, only 2 blocks were pre mined (for testing), and the wallets were downloadable weeks ahead of time with from what I understand a config file that only Coblee has information to put into the config in order to enable mining. Having a very strong development team is also critical in Litecoins success. We are blessed to have a very strong developer team that works on Litecoin. So I mentioned some past and present events/reasons, I also believe that the future will continue on to be great as well. Now that we are in an asic phase, I believe this increase in hash rate will protect our network significantly. What, in your opinion, are the areas where the most improvement is needed, in terms of raising consumer awareness of Litecoin and its benefits? 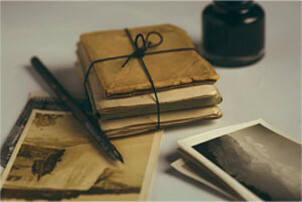 As I write this, there is a significant effort right now with marketing. This is going to be key in the future for getting people interested in Litecoin. But it doesn’t just stop there. Once people get interested, we as a crypto community need to be able to keep that interest. Remember, the number one goal of any crypto currency is to be an alternative payment form to fiat in any country. And in order to do this, we will need third party businesses that create platforms that make using Litecoin and crypto currencies easy to use, much like the credit card. Just swipe it, sign a piece of paper, and go on your merry way! Any idea who dumped 300k of LTC and why ? I personally have no knowledge of the individual that dumped the coins, and I can only speculate as to why they did it. But I see three possibilities as to why. First, this person “fat fingered” the order, meaning they made a mistake on what they really wanted to do. Secondly, the person could have wanted to get out of their Litecoin investments and decided to sell all they had (speculating why this is would be a completely separate topic that I’d rather not get into now). Third, this person could have been trying to manipulate the market, pushing it down to very low levels in order to buy more at the bottom and make more money. BTC and DOGE tip alot on Reddit and forums – why LTC is still so far, is LTC the greedy people ? On the topic of tipping is an interesting one, and I think something that is really a culture of the coins that people are attracted too. I certainly do not think that the Litecoin community is greedy at all (otherwise we wouldn’t have had all the funding and donations matching that we have seen up to this point). Rather, I think it’s a mix of people not being aware of tipping bots, how to use them, or many people think they are trivial. The Dogecoin community really embraced it as a part of their culture, something that makes them stand out from the rest (Much generosity!). But the Litecoin community never had the bot around when the coin was founded, so it’s a newer concept to us. I have been seeing an interesting uptrend up tipping on /r/Litecoin lately. And /u/Coincle came up with the concept tipping Tuesdays to see more people use the bot and become aware of it. BTC has many exchanges yet for LTC main is BTC-E, why ie Lee doesnt get LTC to Coinbase or so ? Well these are two separate types of businesses. BTC-E is an exchange and Coinbase is a payment processor. As im sure you and many of the readers know, an exchange allows you to convert one type of currency into another type for whatever reason (interest in another coin, getting direct fiat out, or even play the markets as a trader). A payment processor helps other companies such as overstock accept crypto currencies as a payment option, which is what crypto currencies are really all about. Due to market fluctuations, its hard to keep up with the value of any currency. Therefore, a payment processor will act as that third party and keep up with the market rates on behalf of that company using them, which standardizes the payment option for that company (much like something that costs $2.99 will always cost that amount for the company, and the payment processor will change what the transfer amount is based on market costs of crypto’s). With that said, there is in my opinion one major issue that is keeping Coinbase from integrating Litecoin. That issue is finding an exchange with enough liquidy that isn’t anonymous and still adheres to US regulations (which Coinbase does). This is a challenge, and something that very very few exchanges have either achieved or are trying to achieve. While there are also other arguments ive seen out there, there is another one aside from the exchange issue that I personally see. And that is the push for merchant adoption. It takes more than just the exchange, there must be a need for a currency to be used. And this need comes from the general population/community. Once the need and the tools are in place, I have no doubt that Coinbase will pick up Litecoin. Maybe a year from now we will see overstock accepting Litecoin as well! Who are the leaders of the Litecoin Association and how do they come to hold their positions? Is there an election? The current board of directors (I will go by their handles) are Carnth, Crazik, Seansoutpost, and Weex. The ambassadors are myself and Kyrio. I believe the original board of directors was included with its founding, and these are people that support Litecoin and have worked many hours in ensuring that our community resources are protected. Kyrio was appointed ambassador due to his work on reddit and the Litecoin wiki as well as working with the official IRC channels. I was personally appointed to ambassador due to the large amount of volunteer work I put into Litecoin outside of the technical aspects and more towards working with the community. Myself, along with ThomasFX and Bossman are moderators of the community projects section of Litecointalk (disclosure, I’m now a global moderator), where we work close with the community members in order to help Litecoin grow. Think of it as the Marketing aspect but at a more grass roots level. As far as elections, there has not been any elections for those on the board. I will mention now that it is in the public domain that Carnth has said the LA is going through a restructuring of sorts in order to get the By Laws re-written and organize it a bit better. I have not been privy to these legal aspects since I am not a board member, but it is possible in the future we might see elections of some sort. 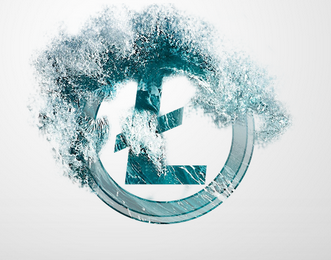 What’s happening with the Litecoin Development Team and what can we expect from them in 2014? I recently talked to Warren (lead Litecoin developer) about what to expect and he made a nice post on Litecointalk (see below). In addition, Pooler should be wrapping up the beta version of Electrum for LTC into a full blown release any day now. Also, at the request of the Litecoin development team they asked the community to submit a new splash screen for the Litecoin software (which is being renamed from Litecoin QT to Litecoin Core). Lastly, the developer team has hired a documentation dev (seikochan) to help out as well as a summer intern that has put some effort into her internship but from what I understand has completed her internship. Every major version upgrade has the risk of breaking the network. In order to mitigate such risk a considerable amount of code analysis and testing must happen. For the upgrade from Litecoin 0.6.x to 0.8.x we were testing pre-releases for several months. We even hired an external expert to audit our changes to be sure we didn’t make any mistakes. I have always been actively watching all changes going into upstream Bitcoin Core. I have been involved in some fixes that went into 0.9.x. Our current 0.8.7.2 release has been so heavily customized with newer backports of key features that even after all this time there still isn’t much of a benefit in upgrading to 0.9.x. There are a few new features that we do want that are currently under review (not yet merged) for Bitcoin Core 0.10.x. This includes long desired features like watch-only addresses and improvements to network code that improves the speed and reliability of sync. I am considering either making the next Litecoin based on 0.9.x with backports of those specific features, or patching the bleeding edge master branch of Bitcoin. In either scenario it would require vigorous testing for many weeks before we decide to do any release that replaces the 0.8.x code. We are exceedingly careful with our releases as to avoid the mistakes that resulted in emergency updates that we’ve seen in the alt coins. We will be hiring the same auditor to review our next release that we hired to review 0.8.x. Bitcoin 0.10 finally has a major new improvement that makes it worthwhile. It might be months before 0.10 is stable enough for release so I will be looking at a backport to 0.9.x and maybe 0.8.x too. There is so much FUD and much of it us produced by unclear, inaccurate, imprecise, and surface level analysis. What can the average person do to improve their understanding of Litecoin and the crypto-currency ecosystem? Right now, the best thing I can say is that the average person should keep tabs on either Litecointalk or the litecoin sub reddit page (/r/Litecoin). There is a tremendous amount of information out there, and everyone in the community is very friendly even with simple questions. For really “noobie” questions, on Litecointalk.org we have a “new users” section set up to help out anything with the simplest of questions. The dynamics today present an interesting topic of discussion. The price is down yet the hashrate of the network is increasing at an exponential rate. While others may refute my opinions, I feel that with the network hashrate significantly increasing as a substantial amount, there is very strong support for Litecoin. The down side, as I have posted before, is that the asic miners are dumping coins on the market as fast as they can. My speculation is that they are dumping for fiat in order to pay off bills (asics aren’t cheap!). People say that “Litecoin is dead” or “Litecoin is dying.” Could anything really kill Litecoin? If so, provide some examples. On top of being an optimist, I’m also a realist, so that’s the approach that I would take with this question. Sure, there are things out there that can “kill” litecoin (and by kill I mean no longer become relevant, because as long as 1 person on the planet has a wallet, Litecoin isn’t dead). But these are really farfetched and I see little chance of any of them happening. There could be some substantial bug in the software that could cause the entire network to crash. Several other coins have such a monumental upswing in price and community support (I say several because even with 1 coin, Litecoin will still be number 3). Someone actually achieves a 51% attack on the Litecoin network (and even if they did, the most damage this would do it possible erode confidence with Litecoin, because the network will correct itself after the attack). The US government comes out and declares all crypto currencies as illegal. Beyond those extreme examples, there is really nothing else that could “kill” Litecoin. Lets just say at this point if something kills Bitcoin, it could kill Litecoin ;). Poor Professor Mark T. Williams… I think we’ve all learned from him the perils of predicting the price of crypto-currency. With that said, however, what will be the price of Litecoin on December 31st, 2014? However, my best guesstimate right now (and this may change in the future) is that we will see Litecoin at $50ish by the end of the year. The other major factor is how much the price of BTC rises as well. Contrary to folks recently stating that there is a decoupling going on with BTC/LTC, they are both still tied together fairly well because of arbitrage bots trading between the two. This question really requires more in depth analysis beyond a simple explanation, feel free to join me in the speculation sub forum on Litecointalk for more future updates on my thoughts . Identify three ways Litecoin is better than any other crypto-currency. Interesting question, and one I would love to answer for those who aren’t involved with litecoin and really understand its strengths. The first strength is the age and trust with Litecoin. The age of the coin is a significant plus and something people take for granted. The older something is, naturally one would assume that it’s more mature. This is the way I see Litecoin, as a more mature crypto currency that has already overcome the younger hurdles (although we still have room to grow and things to experience!). I like the saying I saw on Bitcointalk once “Bitcoin is like a teenager, Litecoin is like the little brother, and all the rest of the alts are babys, we are all one big family but all still very young”. Litecoin also isn’t the oldest alt coin, but it’s the oldest “most successful” alt coin out there. The trust comes into play because of the age, but also because the launch itself was very fair and there was no IPO or pre mined coins such as we are all seeing with newer crypto currencies. The second strength of Litecoin is our hash rate. We are in a transitional period right now from GPu’s to asics. 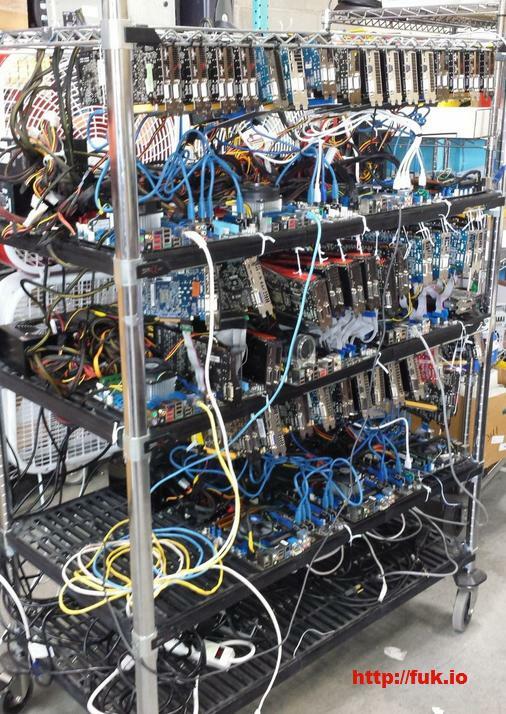 This means that more efficient equipment is our in the wild and is mining the Litecoin network. This in effect gives us a more secure network that can prevent specific types of attacks to cripple or damage the network (for the crypto noobs out there, these attacks I mention does not mean hacking the network, these are more brute force methods that requires a significant amount of equipment i.e. 51% attacks which can lead to time warp attacks). Our third strength to me is the developers that we have. Our developer team, Lead by Warren, is an obvious asset to not only the Litecoin community, but the Bitcoin community as well. The reason for this is that our developers push fixes and efficiencies upstream to the Bitcoin devs. With the close collaboration our developers share with Bitcoin, the community can be assured that the code and in effect the network is secured. If you did not spend your time on Litecoin (or crypto-currency), how otherwise would you spend it? Well aside from Litecoin I do have a family with a wonderful wife and 2 beautiful children. I enjoy my time with them. My daughter is 11 and my son is 5, which I enjoy ever moment I can with them. My daughter love Pokemon and Mincraft, so we enjoy playing those games together in order to support her interests (thinking back tom my youth, Minecraft is like Lego’s for today’s young people!). And my son is starting to enjoy the same things, thanks to my daughter (along with the shows that any 5 year old loves to watch). Cartoon network is awesome, love watching regular show and adventure time with them! If I had the power to keep you from Litecoin, to which other crypto-currency would you turn to involve yourself? Most likely Bitcoin, I would work with Bitcoin much like I do with Litecoin and try to spread awareness and mass adoption. What do you think of process payment GoCoin? I have mixed feelings about them. I like them as a company and they do great work as far as marketing and opening up companies to accept Litecoin and other crypto currencies. But I have issues with some of their investors. And with that said I will leave that topic alone. Will we see in 2014 an Overstock, Expedia or DirectTV – sized company announcing acceptance of Litecoin? I guess you should have added “realist” to the personality type list above haha. I personally do not think Litecoin will be accepted by any companies of that size in 2014. There are too many variables going on right now to deep dive into the major market like that. Once the dust settles this year from asics, I believe we will see a major uptick in usage in 2015. With that said however, I did see that Hustler.com will now offer subscriptions for BTC, LTC, and Doge. Is any of the famous *big miners* of LTC in the association or they are unknown people? I do know of quite a number of people that are both in the top 1000, top 500, and top 100 in Litecoin as far as holders goes (however I will keep their names private, and those folks are a mix of members and non-members). However as far as miners goes I think the majority of power miners are relatively unknown. My assumption is that these folks that control a significant hash amount are companies that are trying to get a quick buck. Do you operate or have plans to operate a Litecoin-oriented business? If so, what kind and What is the most important community project? Yes I do! I have a team I am working with, 3 software engineers and an accountant that specializes in US regulations and we will be opening up an exchange. We are aiming to have a working beta in August and by the time it opens fully we will be fully FinCen compliant for crypto to crypto trading. We hope a year after full release we would be able to gather all the MSB licenses for all 50 states and also be able to deal with crypto to fiat as well. Our goal is to become the leverage that Coinbase needs to add Litecoin. And once that happens, we can see a much more significant adoption for Litecoin in the future! It’s also my hopes and dreams to be able to quit my day job and work fully on cryptos and Litecoin in the future .